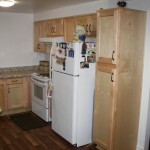 The cabinets are an in In-Stock Cabinet-All Plywood Construction-Natural Maple Wood- with Dovetailed Drawers! 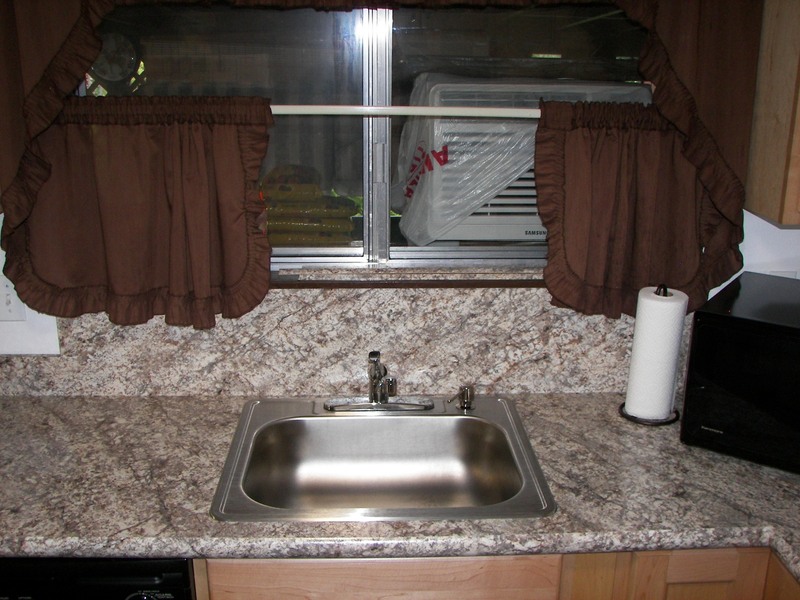 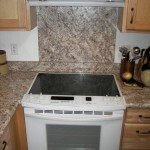 The counter tops are Laminate counter tops with a 4” back splash. 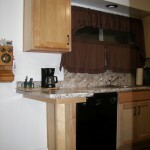 We designed a full height back splash behind the range and under the window! 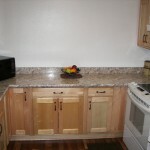 This was a small Kitchen Remodel job in Portland! 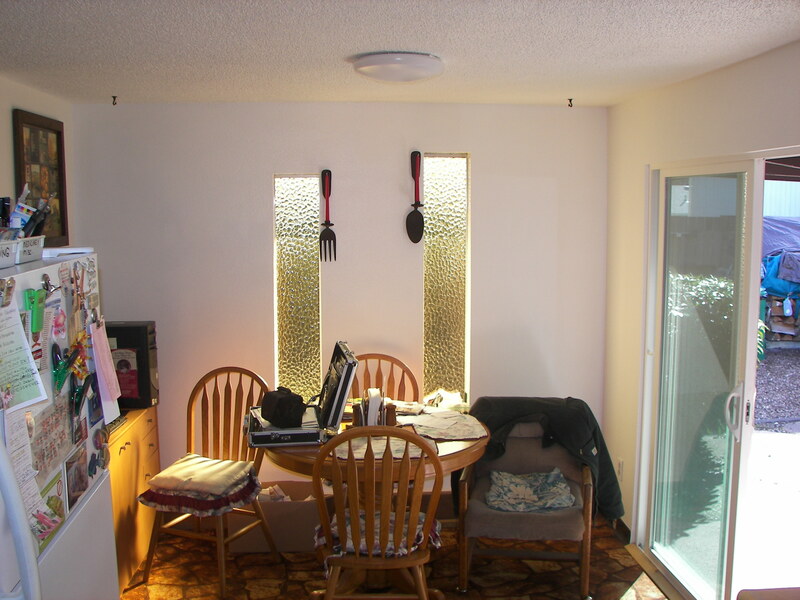 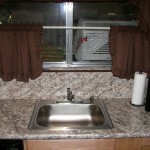 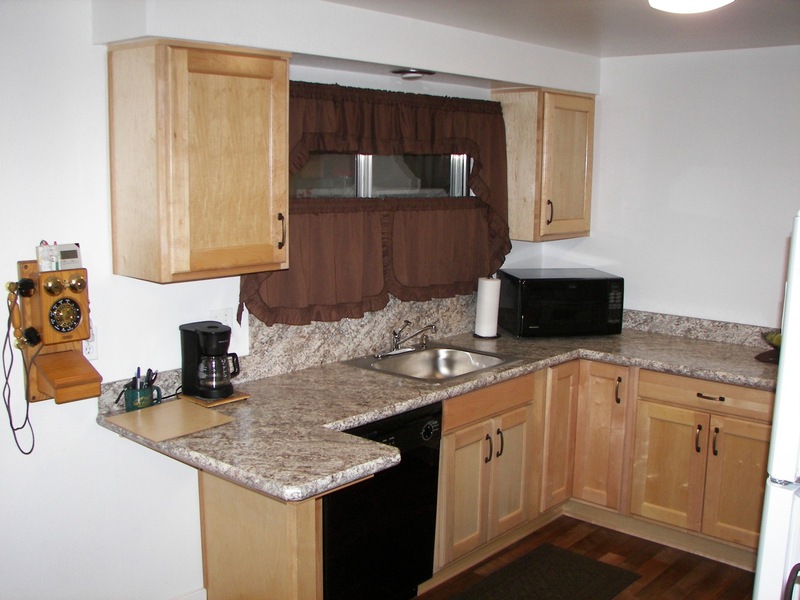 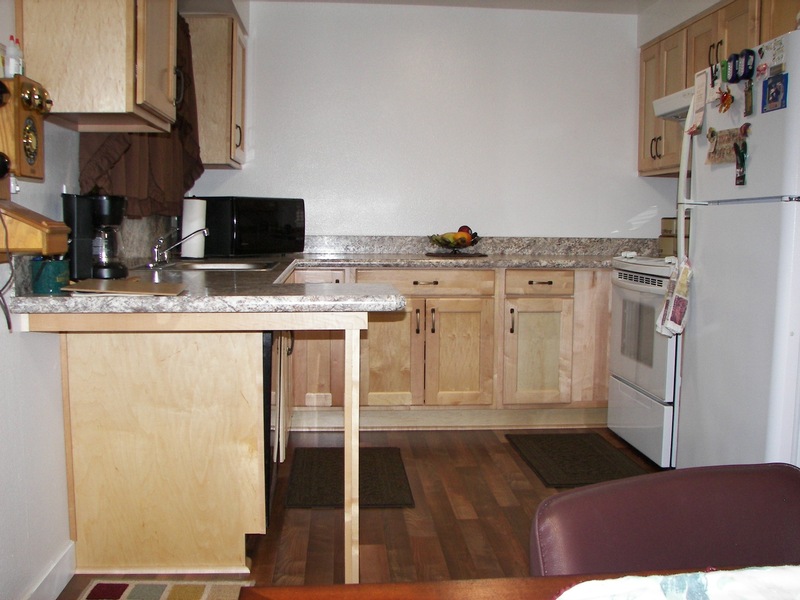 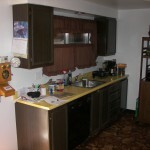 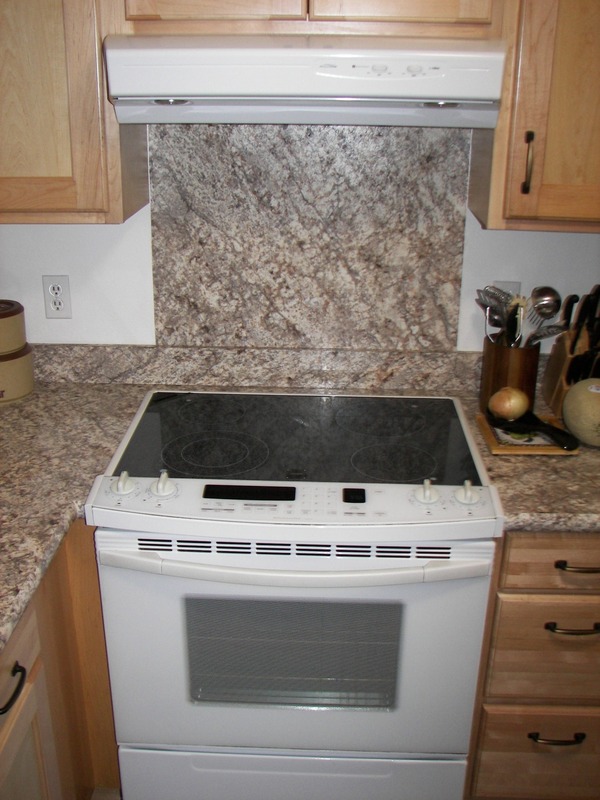 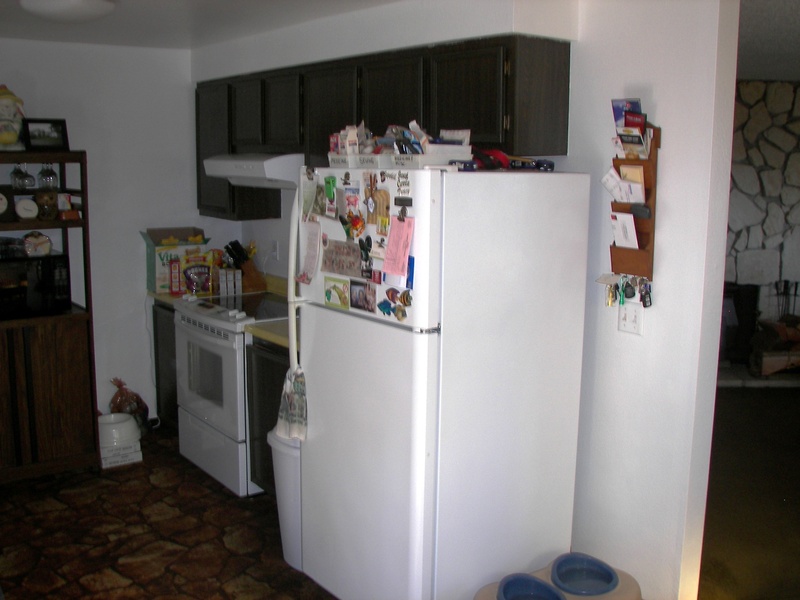 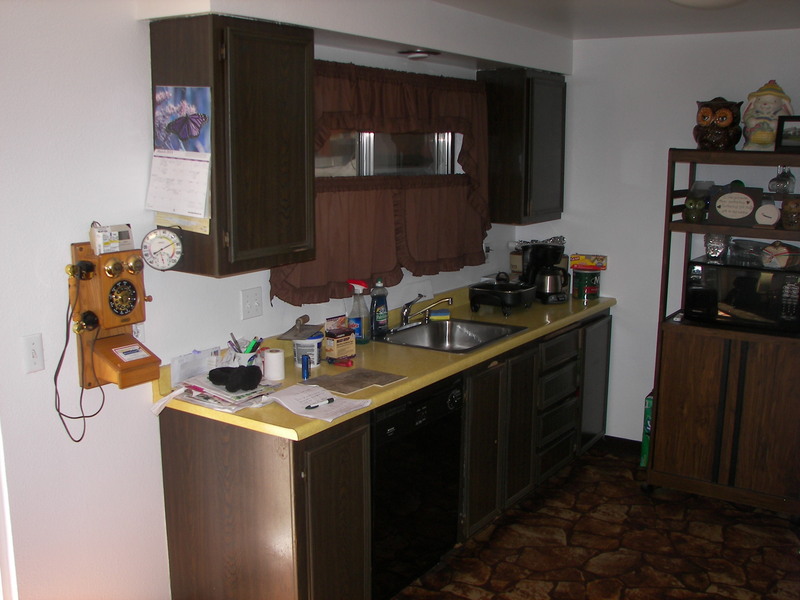 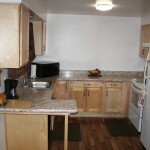 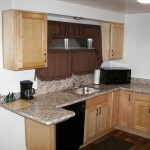 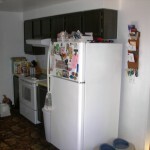 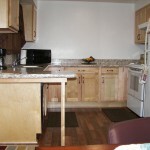 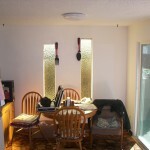 As you can see by the before pictures the existing kitchen almost had no cabinets. 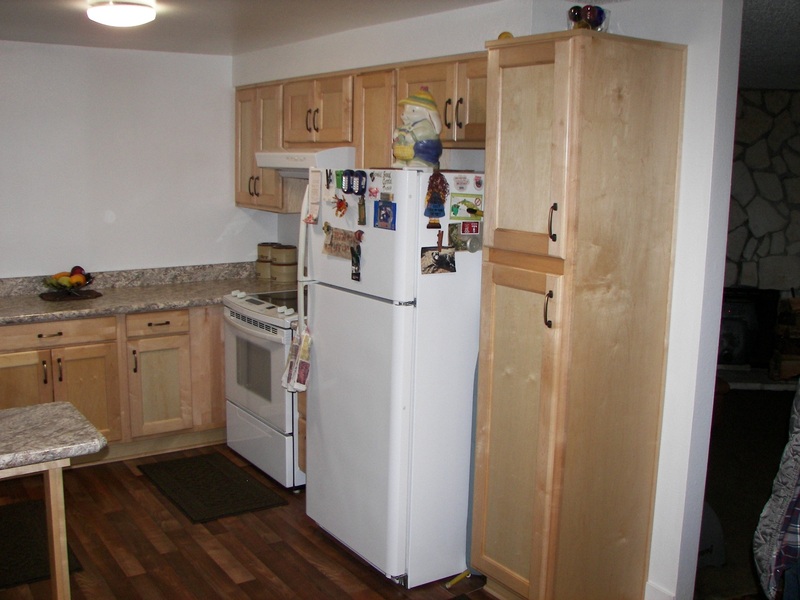 We re-designed the kitchen and gave the customer a whole lot more storage space than before. 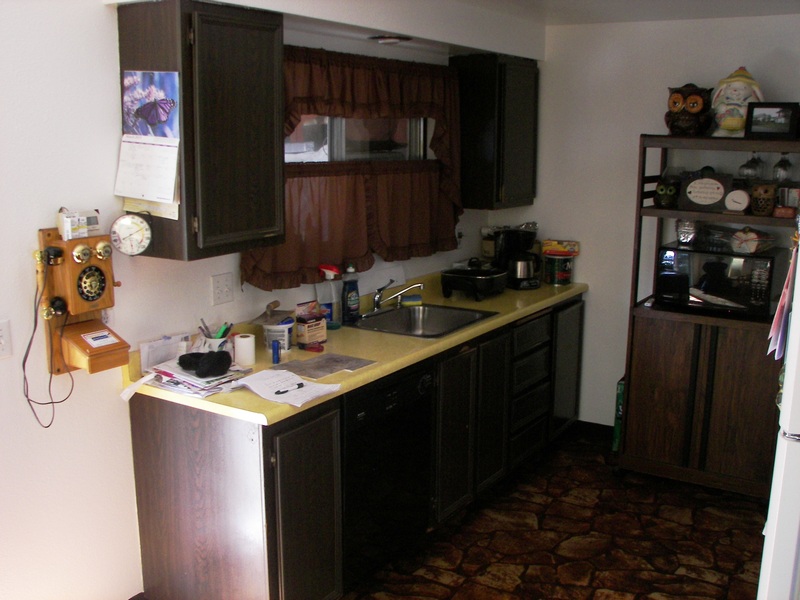 They got a Super Lazy Susan, Roll outs in base cabinets, and a nice big pantry! 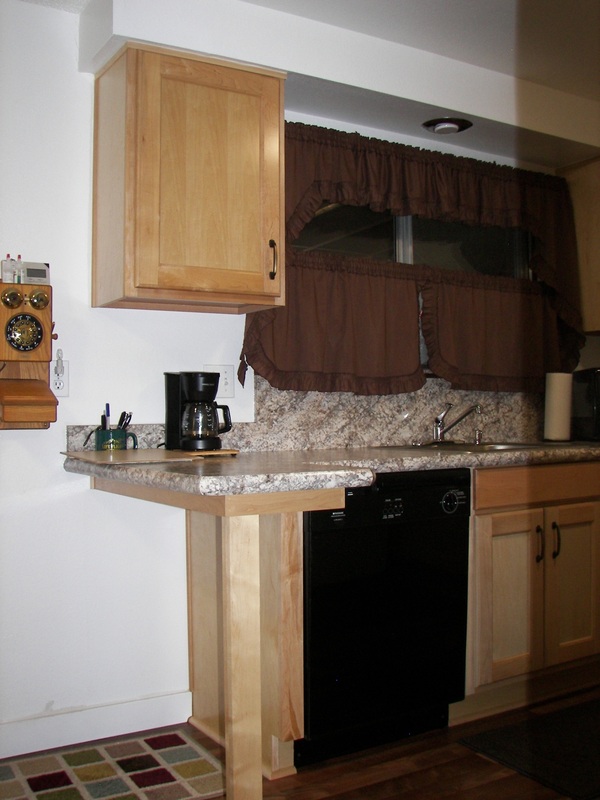 We were also able to design them a small peninsula counter top for a bar stool! 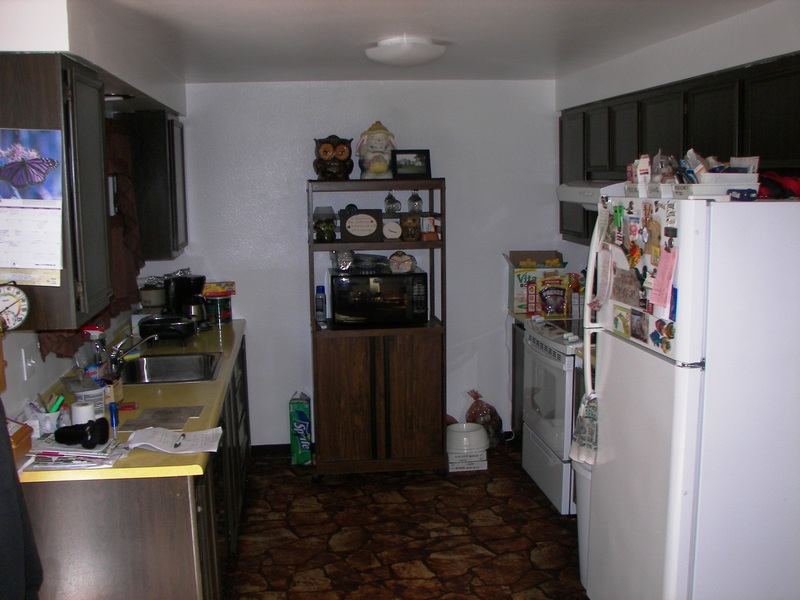 The customers were remodeling the kitchen to sell the house. 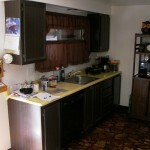 The customer told me. 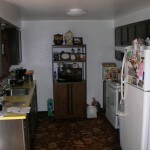 “Dave you need to warn your customers that once they fix up the kitchen they will not want to sell their house. 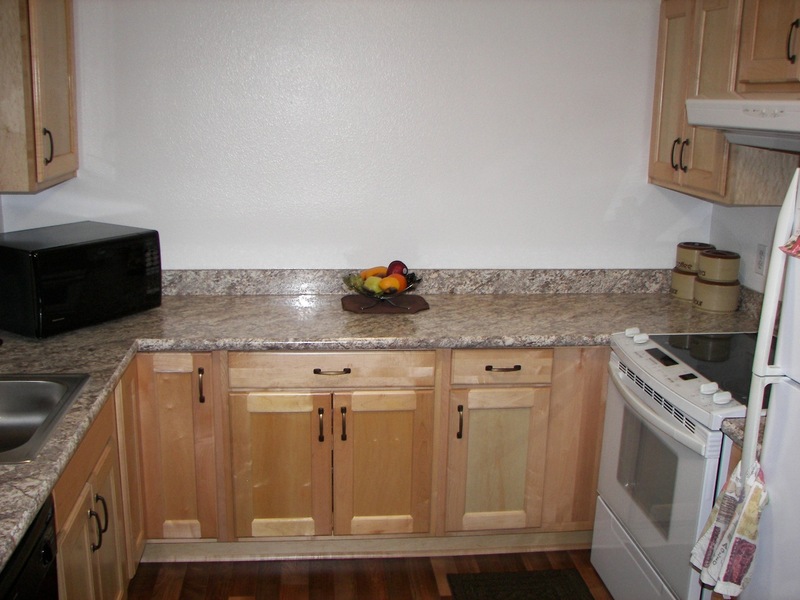 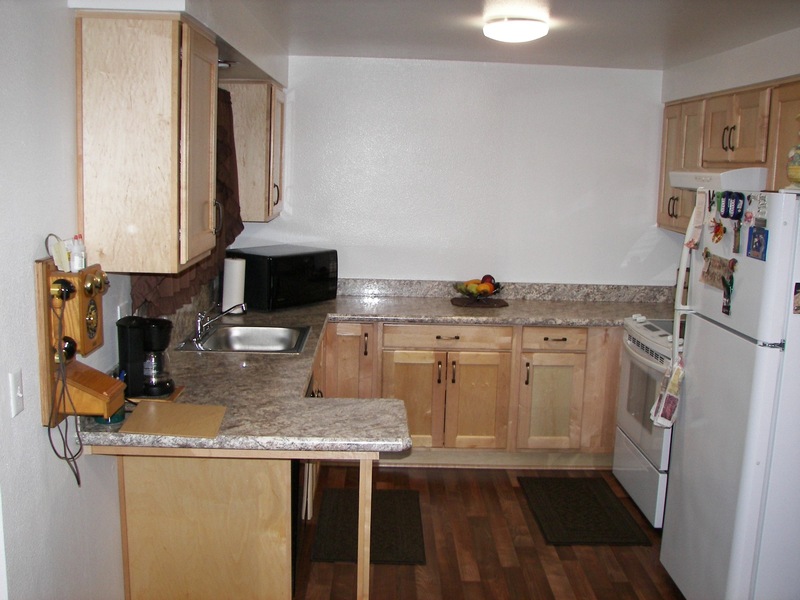 We love our new kitchen!” They are now not going to sell their house and enjoy their new kitchen!